TellFi, a Y Combinator funded startup in San Francisco, may have filled the gap for Canadians longing for services such as Google Voice. If you’re a tech junkie living in Canada, one of the drawbacks is we occasionally miss out on product launches and services. And for many Canadians, the lack of Google Voice in the Great White North has been a huge thorn in their side. TellFi is bringing a Google Voice-like service to Canada and it’s offering Canucks one year of service for free. 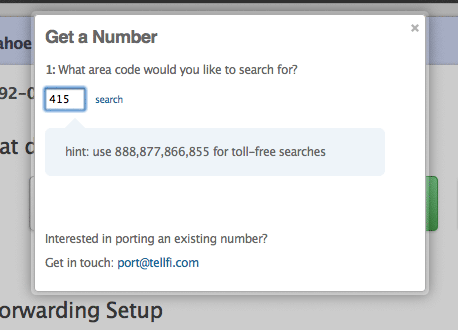 While TellFi is aimed at businesses, anyone is able to grab a Canadian phone number using its virtual phone service. We had a chance to speak with Conor Lee, the co-founder of TellFi earlier today and he tells us that “anyone can set-up a complete business phone system in about three minutes online”. Lee says the service was developed because as a small business owner, he felt there weren’t any good solutions out there. This drove them to build a service that “had professional grade features of services like Google Voice but was also easy to use, unlike a lot of the competitors out there” Lee said. He tells us it works like this: people call a regular phone number and it rings on multiple phones. It can be created for anyone from a single person to an office full of 10 people. Users simply pick a Canadian number from TellFi’s site and Lee tells us there are thousands of numbers in every province in every major city in Canada. Canadians could potentially choose a U.S number or 1800 number however, it’s not included in the exclusive Canadian offer. 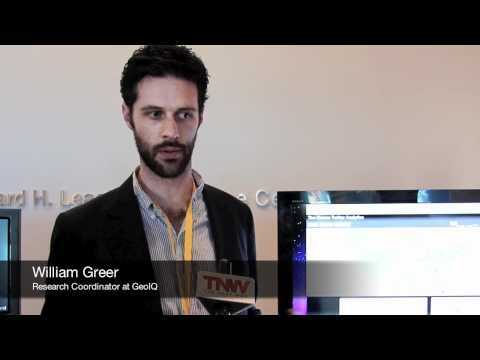 Lee shared with us a few of TellFi’s features including an option to use virtual voicemail. 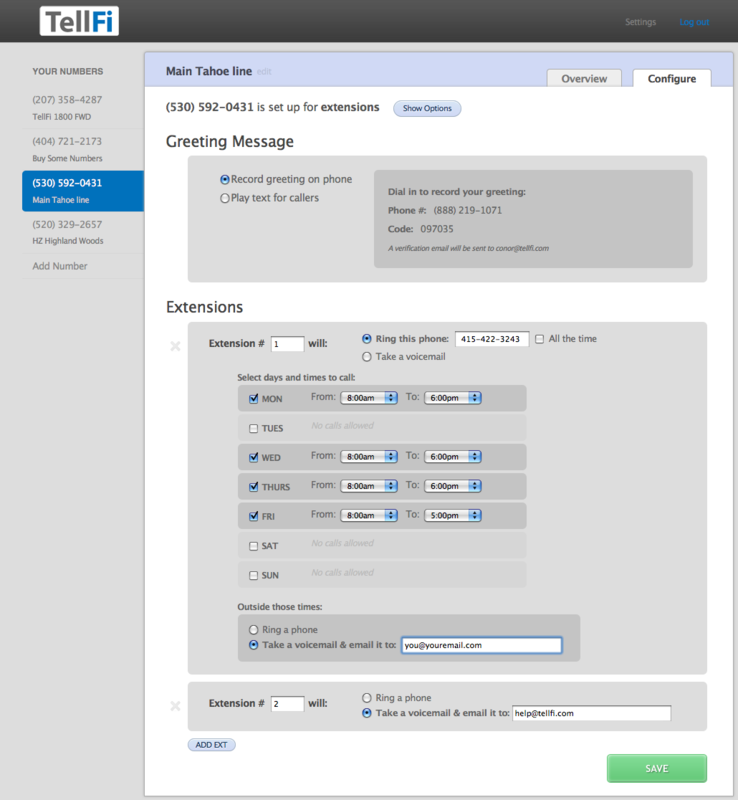 Using TellFi’s virtual voicemail feature, users are able to check messages online. The voicemails can also be transcribed on TellFi’s servers so the voicemails can be emailed to numerous people. Additionally users can take advantage of a call forwarding, extensions (for a whole office or virtual office), as well as call scheduling, a feature that will enable users to set phones to ring on a certain number, at a specific time. While the .ca version of the site won’t be ready until tomorrow, Lee said he noticed during the launch of the service on the .com site, that there was a plethora of Canadians signing up. Clearly a result of Google dropping Canadian numbers when they bought the telephony management startup GrandCentral. We focus on call quality. Since our market is small business and freelancers we believe we have a higher call quality than Google Voice which has had a lot issues lately. The other main consideration is really that ours is designed for business more than consumer although any individual can use it. Some of the paid plans have extensions so you can set it up for your whole office for $20 (up to 10 people). The one thing that Google Voice has in the U.S (although we have a lot more business features) is text messaging. We don’t have text messaging currently set-up but pretty much we have all the same features (as Google Voice) and a few more. Canadians are able to grab a Canadian number now on TellFi.com however, to receive a free year of service, you’ll need to head over to TellFi.ca tomorrow. The one year free package doesn’t include the full extensions feature (limits users to 2), but it’s something that Google Voice doesn’t offer. I’ve already grabbed my Canadian number and I’m pleased to say I was able to snag my local 519 area code. Please let us know your thoughts in the comments.